Digital Marketing is emerging as one of the flourishing realms of online business. Moreover, it is quite evident to witness it blooming in the years ahead. Therefore, the lift in job opportunities is an absolute by-product of this industry. So, here we are to give you a deep insight into the frequently asked digital marketing interview questions. Rather we also look forward to enlighten you with appropriate answers to help you crack the interviews and land you into a pool of decent digital marketing jobs. 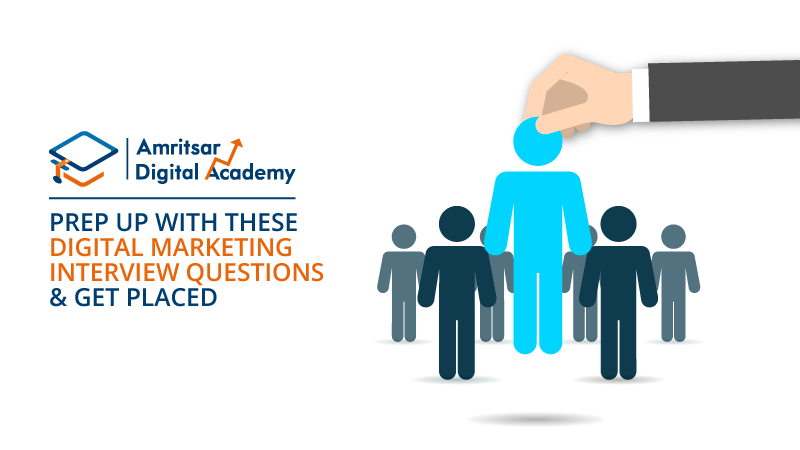 The list of Digital Marketing Interview questions coupled with their answers, to help you crack the interview efficiently. Commonly asked Interview Questions for freshers. Anticipated Questions shot at the interviewees, applying for the managerial or executive post. The list below runs through the questions relating to the fundamentals of Digital Marketing. They are generally shot to assess the candidate’s rudimentary knowledge of the field. Q1.What do you understand by the term ‘Digital Marketing’? Ans. Digital Marketing is all about promoting a brand digitally. It is the process of reaching out to the masses across the globe and engaging them through digital platforms. The need for digital marketing came into consideration when traditional marketing could not take audience engagement and interaction into its heed. However, as we all know that marketing a product or service requires a mutual communication to make it a success. 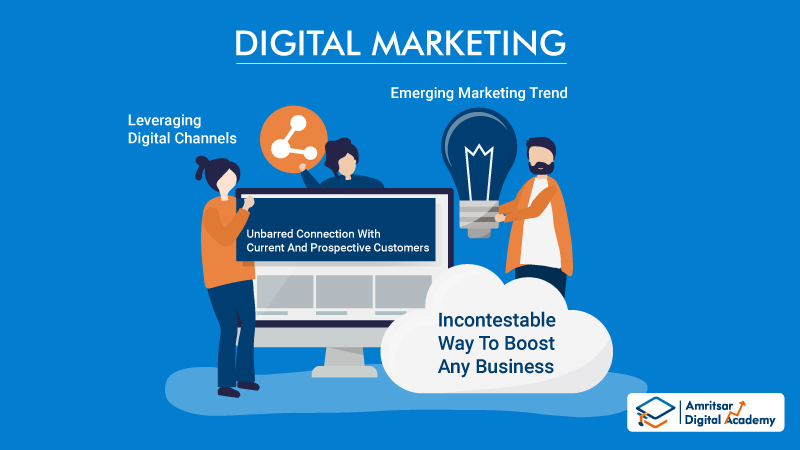 Consequently, traditional marketing was missing out on this aspect, so Digital Marketing took the lead here. Moreover, this marketing practice is not only restricted to sales, but also to various other aspects of a business. For instance, Market Research, exploring new talents, lead generation, brand building, customer acquisition, and many more are its strengths. Digital Marketing is a compound of different channels like search engines, content platforms, brand website, social media etc. Further, it also employs various methodologies like Search Engine Optimization (SEO), Search Engine Monetization (SEM), link building, Affiliate marketing and so on. Q2. 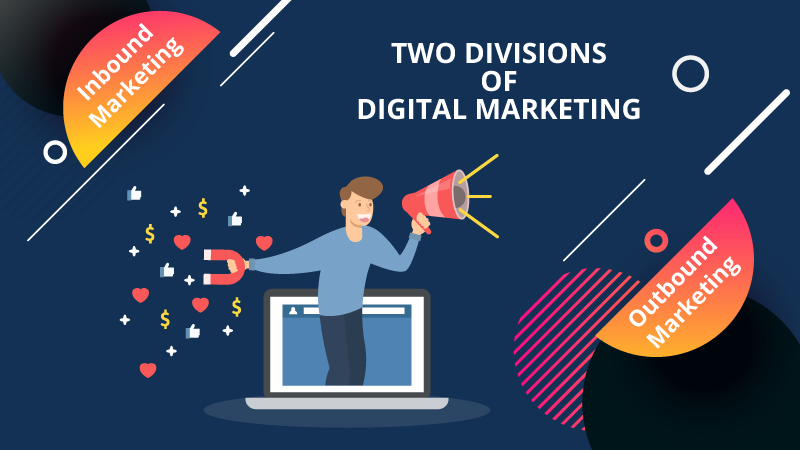 In how many aspects is Digital Marketing divided into? Ans. This segment is devoted to the most frequently asked technical interview question for freshers. Inbound Marketing connotes to the process of considering social media, webinars, newsletters, e-books, and an increase in the percentage of clicks on the links (PPC). Since this scheme intends to make the customer register the company and its products. Outbound Marketing is an aspect of Digital Marketing where the merchant aims to reach out to the customers through email, ads, calls and most important- digital platforms. Q3. How would you define SEO? Is it an important aspect of Digital Marketing? Ans. SEO stands for Search Engine Optimization, which is an inevitable strategy to rank a website in major search engines. It targets to attract traffic to the website and ranking it through organic search engine results (SERP). It is a way to make your consumer’s search little more relaxing, by helping him land on the relevant page, as required by him. Therefore, the crucial role of keywords is to help a website rank better in SEO if they are wisely sorted and placed in the content. Q4. Outline On-Page and Off-Page optimization? Ans. On-Page optimization refers to the direct control of the content and structure of the website. On the contrary, off-page optimization works towards tracing the user to the target website through external links. Q5. Explain the diversity in SEO practices? 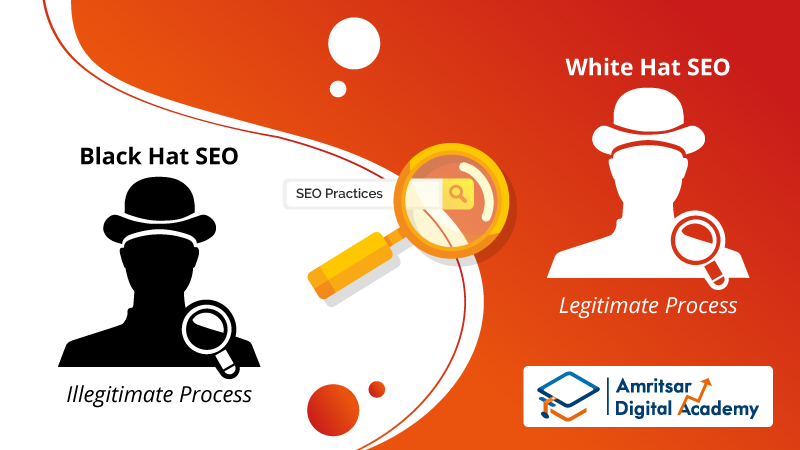 White hat SEO alludes to the working of placing a site higher in ranking in the SERP but in compliance with the Google’s guidelines. It includes HTML optimization, publishing qualitative content and redeveloping of the website. Black hat SEO, on the other hand, strives for ranking a website in SERP but in noncompliance with the Google’s algorithms. They intend to work ranking via loopholes of the Google algorithm. It includes cloaking, hidden text, keyword stuffing, spam links and so on which only misleads the users. Q6. Why are people inclining towards online marketing rather than offline marketing? Ans. Keyword Streaming is a medium to inspect the relevant keywords and make a wise choice pertaining to the target of the website. It aims for the organic traffic and leads through the keywords. Q8. Which are the specific areas to optimize your keywords? Q9. List the features of a bad link? Q10. 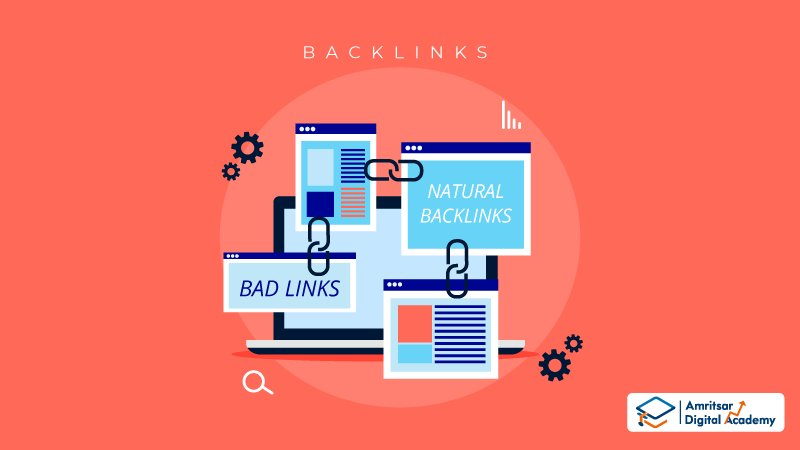 How to get a natural backlink to your site? Ans. If you are a recent website, then the chances of backing your site through natural links are almost negligible. Yet there is a way, to catch them. You can write guest posts for relevant but renowned websites to attract natural links. Q11. What is the need for competitive analysis? Ans. Competitive analysis plays a crucial role when chalking out the plan for Digital Marketing. It is the process of examining and estimating the strategies employed by the competitors to catch hold their weaknesses and strengths in comparison to your product or service. Consequently, you can plot your USP (Unique Selling Proposition) to attract your target audience. Q12. How important is Google Ads in Digital Marketing? Q13. Tell something about Google Ads Remarketing? Ans. Google Ads Remarketing is a strategic move to target the audience who once visited their site but did not make any purchase. This technique of remarketing hits the right people with the right ads. Q14. List the different domains of Digital Marketing? Q15. Name the various channels to promote a business digitally? Q16. Brief about the responsive websites? Ans. It refers to an adaptable website, which converts its layout according to the viewport size and orientation of the device. However, the content remains the same except for the layout of the site lending an optimal experience to the viewer. Q17. What are the efficient ways of raising the traffic on your website? Ans. SEO and primary linking work wonders in scaling up traffic since it also creates brand recognition. However, even more, the important factor to be addressed is User Retention. It further leads to increased conversion rates, making people visit the site repetitively. Q18. Mention some top digital marketing tools? Q19. 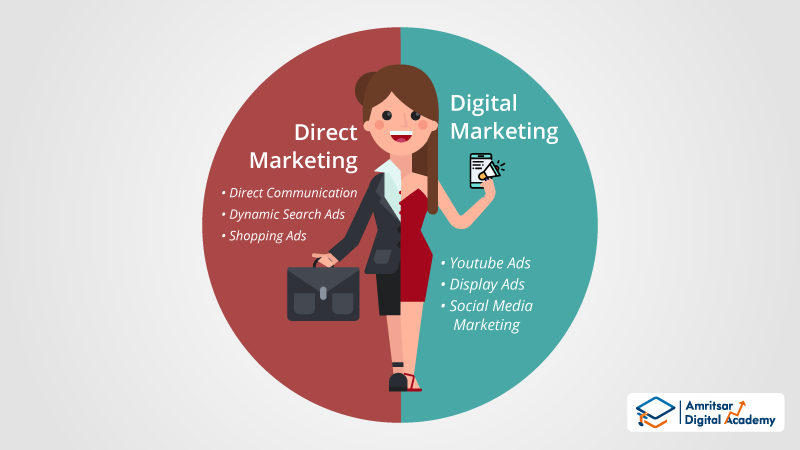 Differentiate between Direct Marketing and Digital Marketing? Ans. Digital Marketing employs the method of advertising a brand through YouTube Ads, display ads, custom ads and remarketing, to reach its audience. Whereas direct marketing is all about advertising the brand through direct communication with the target audience, dynamic search ads, shopping ads and many more. Q20. Elaborate on the limitations of Online Marketing? The customer looking for the product online is unable to analyze the quality of the product since it is intangible. The persistent issue is the non-conformity of the authentication of the product/services. Majorly the products delivered are distinct from what the potential buyers placed the order for. Q21. How important are certifications in this industry? Ans. Getting certified from any reputed institute of digital marketing makes you authorized as a professional in this realm. It acts as a trump card to get placed with highly professional organizations. Q22. What drive you into Digital Marketing? Ans. Get prepped up with interview questions and answers for freshers and experienced with your answers being true. You got to answer this question, by backing the sincere reason for it. Is it the reputation of the industry or the handsome pay packages that made you choose this as your career? Through this question, the interviewer analyses your worth and commitment towards your work. Do reveal your enthusiasm to make the employer realize your dedication towards this sector. Q23. Did your qualification help you in Digital Marketing? Ans. 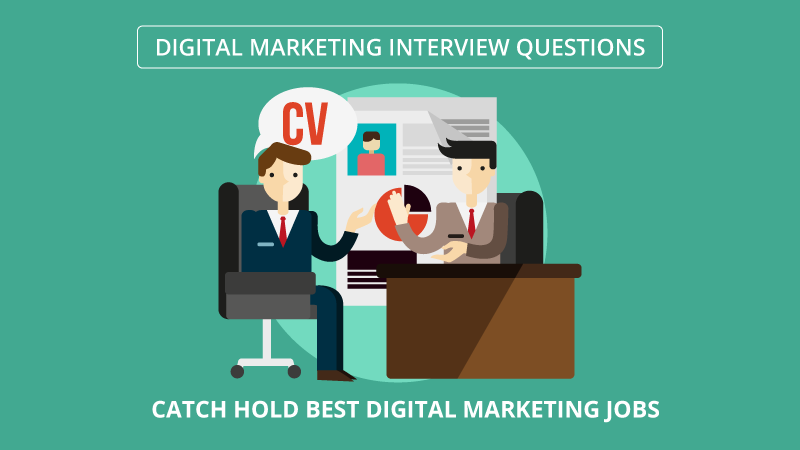 This is the most commonly asked question when appearing for an interview for digital marketing jobs. By this question, the employer seeks for the answer, where you should mention how your college education benefited you in this profession. Q24. Can you recall any major challenge confronted by you while pursuing your career in Digital Marketing? Ans. Answering this question with utmost sincerity is the key to breakthrough. How efficient you are at facing challenges, making them work successfully or even you fail, what did you learn and how did you implement it later. Bang On! And this is what the interviewer is looking for. Q25. Which is the most preferred area in this field of work? Ans. Mention your favorite areas to operate in. This might lead your prospective employer assign to you the relevant task. Therefore, answer wisely with not only mentioning the easy-going tasks but also some challenging ones. This Question Bank enveloping the frequently asked Digital Marketing Interview Questions intends to place you with an organization when you are facing their interview panel. If you are looking forward to investing in these skills, then enroll for our exclusive Digital Marketing Course. After a Long search, I found this post and I must say that this post worth my research and provide me all knowledge and clears my confusion of choosing the best Digital Marketing interview questions and answers. 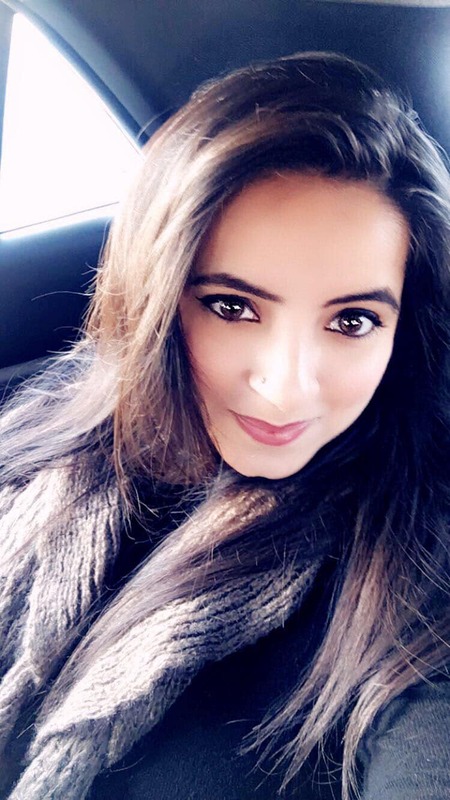 After a Long search, I found this post and I must say that this post worth my research and provide me all knowledge and clears my confusion about best Digital Marketing Interview Questions.